Selecting and building the right ERP system is the best way to future-proof your business. As new trends such as digital supply chains, the Internet of Things (IoT) and blockchain technology influence your planning and operations, your ERP should be the stable backbone of your organization, providing integrated and scalable management of key functions from finance, through project management, to end-to-end execution. In 2017, 67 percent of respondents reported that they relied upon on-premises ERP, compared with only 27 percent for SaaS. By 2018, 64 percent confirmed they had SaaS in place and just 15 percent said they were still maintaining on-prem ERP. It’s a huge shift, and one that’s easily explained: A cloud ERP provides a superior on-ramp to the services necessary for transforming the supply chain, for enabling IoT and blockchain strategies and for improving relations with suppliers as well as customers. It replaces the cost and complexity of an in-house solution with the efficiency and simplicity of an expertly managed platform, one that covers all of your most important workflows. That said, it’s sensible for would-be adopters of cloud ERP to be wary of the transition, due to the number of infamous stories about ERP deployments gone wrong. With those incidents in mind, let’s explore a few ways to make sure you get your new ERP off to the right start and see consistent results from it over the long term. ERPs are complex by nature – they’re hubs for your entire business, after all. The prospect of moving one into the cloud can easily seem overwhelming. The good news is that a successful transition is possible with the proper tools and planning. Make sure that you’re paying attention to critical workflows like data conversion and quality, that you’re addressing change management from the get-go and that you involve your suppliers and partners in testing. Consider working with an implementation expert like Inspirage and using tools from vendors such as Oracle to streamline your migration. 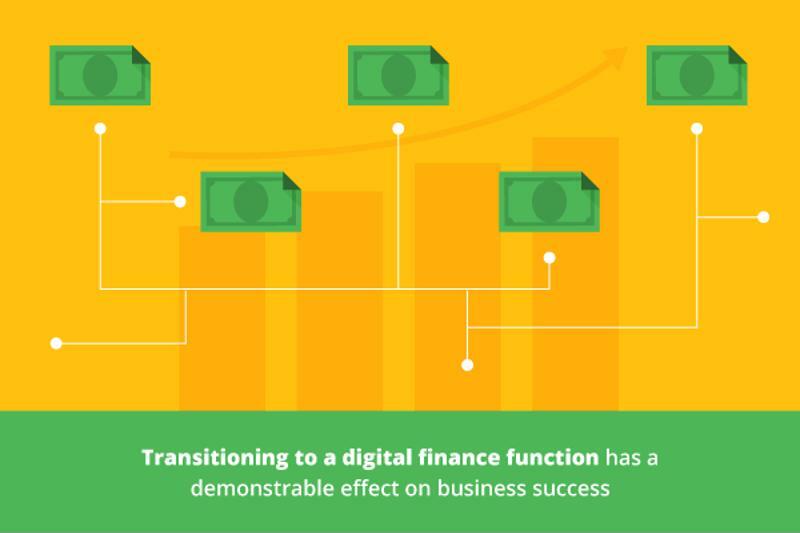 Transitioning to a digital finance function, as embodied in a modern cloud ERP like an Oracle-based solution, has a demonstrable effect on business success. A 2019 joint report from Oracle and the Association of International Certified Professional Accountants found that while less than a third of finance teams qualified as “Digital Leaders” on finance, those that did were the most likely to have experienced revenue growth. Almost half of Digital Leaders had seen growth in the past 12 months, compared to only 29 percent of non-leaders. ERP success is as much about people as it is about technology. To ensure an ERP that effectively supports your organization, you should have dedicated staff working on the transition and the configuration of new solutions. The switchover is too important to be conducted with project managers and other employees who are all juggling multiple disparate responsibilities. It’s also crucial to maintain a high level of institutional knowledge of your ERP. If the people who worked on the implementation are no longer with the organization, consider holding training sessions to refresh everyone’s ERP knowledge. Inspirage will help you plan and complete your ERP journey. As Oracle experts, we’ll guide you through digital and cloud transformations that deliver results for initiatives from the IoT to the supply chain. Learn more in our Resource Center or by contacting our team. This entry was posted in Supply Chain Management and tagged cloud migration, digital supply chains, Enterprise Resource Planning, ERP. Bookmark the permalink. Andrew Bargeron has over 17 years of experience as a Supply Chain practitioner in various, progressively responsible positions including procurement, finite scheduling, inventory management, sales and operations planning, and global demand planning. He has many successful EBS and VCP implementations in several industries, including distribution, consumer foodstuffs, metals fabrication, and OEM and a deep knowledge of Oracle Process Manufacturing (OPM) coupled with several VCP implementations for process industries, including metals, consumer products, and pharmaceuticals.